Hundreds of video games are released every year, to varying degrees of critical and commercial acceptance. Some sell like hotcakes, others crash and burn. Some titles earn universal acclaim and win dozens of Game of the Year awards, and others become snark bait for YouTube Let's Play channels. However, many games never make it to store shelves, physical or digital. Unlike movies, where if the cameras start rolling, the film is almost guaranteed some type of release, a video game can be cancelled after many months, or even years, of active development. Here's 15 Great-Looking Games That Were Cancelled Before Release. Half-Life 3 doesn't count, because it has never officially been announced, and no footage of Half-Life 2: Episode 3 was ever released to the public, so cool it in the comments - deal? It was a small miracle that 2006's Prey ever saw release at all, after ten years of development. Duke Nukem Forever, also from publisher 3D Realms, had to be rescued from the developer before got to customers. After Prey's lengthy and troubled production cycle, it almost seemed like a joke when the game ended with the cryptic words, "Prey will continue..."
Prey 2 was in development with 3D Realms and original developer Human Head Games before the rights to the series were sold to ZeniMax Media, but the game continued under the watchful eye of Bethesda Softworks, and was shown to the public several times. Players would take control of U.S. Marshall Killian Samuels, a passenger on the jet which is shown crashing in the original game. Samuels would subsequently awake several years later, an amnesiac bounty hunter. As Samuels, the player would encounter Tommy, the playable character from the first game, and work as a bounty hunter while unraveling the mystery of their lost memory. Like so many cancelled games, the title quietly disappeared, first being delayed temporarily, then indefinitely, before being permanently removed from the schedule. While the game essentially disappeared in 2012, it wasn't until 2014, during PAX Australia, that the game was officially declared dead. Maybe the franchise will return one day; 2016 is Prey's 10th anniversary. Maybe a current-gen remaster is in the cards? In 2010, two high profile Mega Man titles were announced, and by the end of 2011, both games would be cancelled by their publisher, Capcom. One of those titles is much higher on this list, but the other is the arguably more ambitious Mega Man Universe. 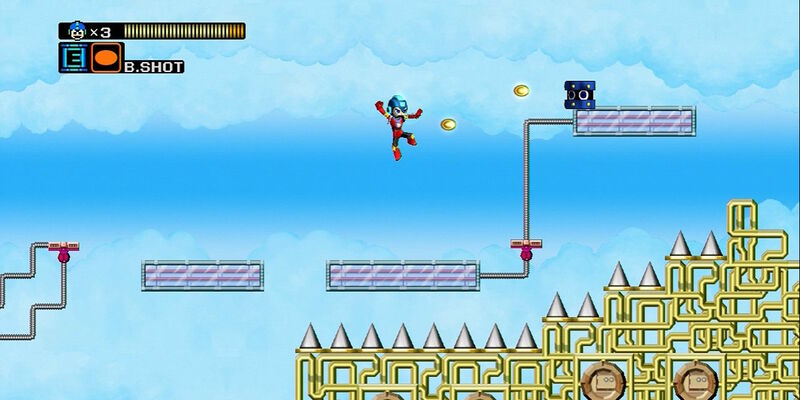 Taking its cues from titles like LittleBigPlanet and ModNation Racers, Mega Man Universe was going to take classic MM gameplay and put the tools in the hands of players, allowing for an endless flow of user-generated content. Mega Man fans were going to be able to create their own levels from scratch and share them online, truly living up the title, Mega Man Universe. In addition, the title would feature a remastered HD remake of Mega Man 2 as its core story campaign. One of 2015's most surprising smash hits was Super Mario Maker for Wii U. Mega Man Universe had the exact same idea five years earlier, but it just didn't work out in the end. Capcom gave the flimsy excuse that the art style and control was not up to their standards, and the game was unceremoniously cancelled. Here's a title which was never shown to the public until after it was cancelled, but which became something of a minor sensation after footage was leaked and the developers spoke publicly about its troubled production and grand premise. Swedish developer Grin earned acclaim for their wonderful remake, Bionic Commando Rearmed, but then stumbled with poor sales and middling reception of the severely underrated Bionic Commando sequel for PS3 and Xbox 360, as well as the decent-yet-unremarkable licensed sequel, Wanted: Weapons of Fate. All the while, though, Grin was working on an unprecedented project: under the guidance of Square Enix, Grin was developing a sequel to Final Fantasy XII, codenamed Fortress. The game was to be set several years after the original, and follow Basch, Ashe, and Emperor Larsa as they uncovered an ancient evil which threatened to destroy Ivalice, and their quest to reunite the heroes of FF XII to save the world one more time. The game's aesthetic was heavily inspired by Viking culture and would feature battles at sea against mammoth aquatic monsters. After about six months of development, however, Square Enix suddenly dropped the project for no discernible reason, and Grin was subsequently forced to shut its doors for good. It's likely that Square Enix got cold feet regarding a western developer taking the reins on their most precious franchise and making bold, risky choices with it. Or maybe they were jealous because Fortress was shaping up to be a better game than their own, upcoming, Final Fantasy XIII title. We'll never know for sure. The games on this list were all in varying stages of development, but were generally cancelled before they were fit to be released to the public. Star Fox 2, by contrast, was cancelled for being too good. The original Star Fox, released in 1993 for the Super Nintendo, was a groundbreaking experiment in 3D graphics, but it's commonly agreed that the game's visuals haven't exactly aged well. After the smashing success of the first game, Argonaut started work on a sequel, and a new-and-improved version of the Super FX chip, which made possible the original title's unprecedented 3D graphics. The final product turned out remarkably well, far beyond what the first game had achieved, and beyond Nintendo's wildest expectations. The game was targeting a release date in 1995, roughly the same time the Nintendo 64 was initially scheduled to release. Intimidated by Star Fox 2's stunning graphical fidelity undercutting the N64's perceived superiority, Nintendo made the shocking decision to cancel the title, despite programmer Dylan Cuthbert claiming that Star Fox 2 was fully completed. Following Star Fox 2's cancellation, many of its ideas and systems were reused for Star Fox 64, including the so-called "All Range Mode" and the Star Wolf battles. Star Fox 64 is regarded as a timeless classic and is many fans' favorite game in the series, so it's hard to fault Nintendo's shrewd business decision, but it still seems unfair to the folks at Argonaut Games who put in so much work to make a game which never saw an official release. The chicken walker transformation of the Arwing ship would eventually make an appearance in Star Fox Zero for Wii U, which, well, failed to live up to expectations. Indiana Jones and the Staff of Kings saw release on PS2 and Wii, a forgettable action game whose only saving grace was that the Wii version included the classic LucasArts adventure game, Indiana Jones and the Fate of Atlantis, as a bonus unlockable. However, we're here to talk about the cancelled PS3 and Xbox 360 version of the title, which disappeared before the game even had an official name. Indiana Jones was announced alongside Star Wars: The Force Unleashed, and was scheduled for summer 2007. Like The Force Unleashed, the game was to make use of Euphoria physics, which would later be fully realized in titles like Grand Theft Auto IV and Max Payne 3, by Rockstar Games. LucasArts released promising footage of Indy engaging thugs in hand-to-hand combat while riding atop a San Fransisco trolley car, as well as throwing bad guys into parked cars and fruit stands, all of which broke and bent in painstaking detail thanks to Digital Molecular Matter technology. Sadly, the game slowly disappeared and died a quiet and private death, while the Wii and PS2 versions came and went with little fanfare. Indiana Jones will always return, one way or another; the last notable Indy title was 2009's Lego Indiana Jones 2, so we reckon it's about time for the world's greatest part-time college professor to make a grand comeback in the digital realm. Developer Savage Entertainment is mostly known for quietly porting games to multiple consoles, but their big chance at making a high-profile, triple-A title ultimately never saw the light of day. When Savage's Jurassic Park game was first announced in 2000, it was to be an adaptation of the Jurassic Park III film, but by the time it was officially revealed to the public in the lead-up to E3 2001, the game had become Jurassic Park: Survival, and instead served as a spin-off story which would expand the universe of the films. The game was to be set on one of InGen's secret dinosaur preserves, and the player character, David Vaughn, would be a security guard who has to save the day when mercenaries show up to steal dino DNA and destroy the island. The game was planned to feature a dozen large, nearly open-world levels and play out as a broad action-adventure game, with stealth, combat, platforming, dynamic dinosaur artificial intelligence, and cinematic action beats, including driving sequences based on the iconic T. Rex chase from the first film. Vivendi-Universal, Survival's publisher, proved unwilling to provide the funding necessary to fully-realize the game's ambitious vision, and when the team at Savage ran out of time and money, Universal opted to cut their losses and cancel the game rather than continue to pay the developer, an unceremonious end to a promising title. We're all familiar with Bethesda's Fallout 3, a Washington DC-set post-apocalyptic sandbox which blended the first-person action-RPG gameplay of The Elder Scrolls IV: Oblivion with the Mad Max-inspired aesthetic of the classic isometric Fallout titles. The game received universal acclaim and strong sales. In actuality, Bethesda's Fallout 3 was not the original vision for the game. Fallout's original developer, Black Isle Studios, had spent years developing their own version of the game before it was cancelled in 2003. It is said that their version of Fallout 3, codenamed Van Buren, was nearly complete before the team was forced to work on other projects before ultimately being disbanded. The game would have full 3D graphics, but still be played with the isometric camera and traditional RPG elements of the original 1990s games. Interestingly, several key developers of Fallout: Van Buren, as it is posthumously referred to, were part of Obsidian when they were tasked with developing Fallout: New Vegas, based on the game engine of Bethesda's Fallout 3. Obsidian decided to semi-canonize the story of the cancelled Van Buren title, and many elements from the "lost" Fallout game appear or are referenced in New Vegas and its numerous DLC expansions. Even after being essentially supplanted with an admittedly excellent Gamecube remake, the original Playstation version of Resident Evil remains the favorite of many old-school survival horror fans. It's almost funny how, despite the terrible voice acting and ridiculous story, the very first RE title is still packed with moments of genuine terror. It came as a surprise to many Resident Evil fans when, in 1999, of all the platforms the game could have been ported to, a Game Boy Color version was announced, to be developed by HotGen, a developer with plenty of experience on the system. They took on the daunting task of making a 1:1 port of a Playstation game on the Game Boy Color, a comically under-powered platform by comparison. After seeing the results of HotGen's work, Capcom was not pleased, and cancelled the functionally complete title. However, the game's files were leaked online in 2012, and fans were able to judge it for themselves... and most of them were pleasantly surprised. Sure, it doesn't look like much, even by 1999 Game Boy Color standards (and the 1996 original was no beauty queen to begin with), but it is a shockingly faithful total recreation of the original masterpiece. HotGen's herculean undertaking, while doomed from the start, can now be enjoyed by Resident Evil fans all over the world. Volition's Saints Row series is one of the most interesting franchises of the last console generation. The first game was something of a low-rent Grant Theft Auto clone, but the second game won a legion of fans with its surprisingly deep storytelling and off-the-wall gameplay scenarios. Part 3 brought a flashy new art style, and Saints Row IV is one of the most outrageously hilarious games ever made. Aside from the main series, there were supposed to be two Saints Row spin-offs, but neither of them ever made it out to consumers. Both games were to be set during the interim between Saints Row 2 and Saints Row The Third, filling in the gaps between the stories of both titles. Saints Row: Undercover was in development for PSP by Mass Media Games and none other than Savage Entertainment, the team behind the ill-fated Jurassic Park: Survivor. The game was to star an undercover cop assigned to the Third Street Saints who would become involved in a power struggle within the gang. Undercover was well into development before being cancelled by series developer Volition, who found the title wasn't living up to the standards of the main games. Interestingly, the unfinished version of the game, as well as its design document, were released to the public during a January 2016 livestream by Volition. The other cancelled Saints Row game was the (debatably) cleverly-titled Saints Row: Money Shot. Intended to be a downloadable game for Xbox Live and Playstation Network, Money Shot was to star an elite assassin named Cypher who would assassinate targets with a sniper rifle. The player would fire and then guide a bullet through puzzle-like levels to their destination. This game is notable for featuring the final fate of Dex from Saints Row 1 and 2, who is conspicuously absent in part 3. Players of Money Shot were to unlock exclusive items in Saints Row The Third, which were eventually released as a standalone DLC offering, called The Moneyshot Pack. Between 1971 and 1988, Clint Eastwood starred in five films as San Francisco's most dangerous lawman, "Dirty" Harry Callahan. Back in 2005, developer The Collective announced they were working on a video game based on the legendary anti-hero. Warner Brothers was publishing the title, which was being developed under the watchful eye of Harry himself, Clint Eastwood. The Collective was responsible for Indiana Jones and the Emperor's Tomb and Buffy the Vampire Slayer, well-received games based on other fan favorite franchises, so hopes were up for the high-profile project. The game was set in the early 1970s, in between the first two films, and was to feature such celebrity talent as Gene Hackman, Lucy Liu, and Lawrence Fishburne. Unfortunately, the title was cancelled before any dialogue could be recorded, so there are sadly no "lost tapes" of Clint Eastwood in character as Dirty Harry, sharing scenes with Gene Hackman, because that would just be too awesome. Despite Eastwood's apparent devotion to the game, it simply fell too far behind schedule and, by 2007, it was obvious that it lacked the proper cohesion to ever make it to completion in a suitable state. We still hold out hope that Clint Eastwood may one day give a Dirty Harry game the second chance it deserves, as we, and many fans, would do anything to go on a ride-along with California's dirtiest detective. 2015's Rainbow Six: Seige was praised for its multiplayer action, but criticized for its lack of a true single-player campaign, or any kind of meaningful story to latch on to, despite the presence of actress Angela Bassett in a leading role. This back-to-basics approach could have been a result of the untimely cancellation of Rainbow 6: Patriots, which would have been the riskiest and most ambitious story in a Tom Clancy game to date. First announced as the cover story in a 2011 issue of Game Informer, Rainbow 6: Patriots would have had the titular elite team take on a terrorist group called the True Patriots, a right-wing militia targeting Wall Street corruption in New York City with terror attacks against innocent civilians. The game would have had a focus on storytelling, with player perspective switching from members of the Rainbow unit to civilians, street-level policemen, and even members of the True Patriots, to tell a multifaceted, three-dimensional version of the tried-and-true "military vs terrorists" tale we're all intimately familiar with by now. A number of factors contributed to the death of Patriots. Key members of the development team were removed from the project, and the announcement of current generation consoles led to development on the title shifting over from last-gen systems. Eventually, enthusiasm began to wane and this wild and edgy version of Rainbow Six just wasn't what Ubisoft needed at the time. Patriots was cancelled and Siege was developed its place, distilling the franchise into its purest gameplay essence. Maybe Patriots and its dark and nihilistic take on the franchise may one day see a resurgence, but until then, if we need a literary deconstruction of the military shooter genre, we'll just play through Spec Ops: The Line. Again. If you're a PC gamer, chances are you spent way too much time playing StarCraft and wondering, "Who needs that much Vespine Gas?" Aside from a well-intentioned but technologically compromised Nintendo 64 port, StarCraft stayed away from the console space, and indeed, there has not been a single Starcraft title released for any platform other than home computers. However, had things gone a bit differently, this would not be the case. In 2002, StarCraft: Ghost was announced for Playstation 2, Xbox, and Gamecube. Developed by Nihilistic Games, and then by Swinging' Ape Studios, the game just couldn't reach the lofty heights of publisher Blizzard's notorious quality standards. The game was to star a Ghost (the StarCraft unit, not a literal spectral being) named Nova, who would utilize stealth and third-person combat to navigate the world of StarCraft in an intimate fashion not possible in the large-scale mainline RTS titles. Ghost was removed from Blizzard's schedule way back in 2006, but it wasn't until 2014 that the game was officially declared cancelled. It's likely that the game hadn't seen active development for the better part of a decade before the final curtain call of cancellation was drawn. Despite the death of her solo game, Nova the Ghost has starred in multiple StarCraft novels, had a small role in StarCraft II: Wings of Liberty, and is the focus of the ongoing DLC expansions for StarCraft II, the highly acclaimed Nova Covert Ops missions. 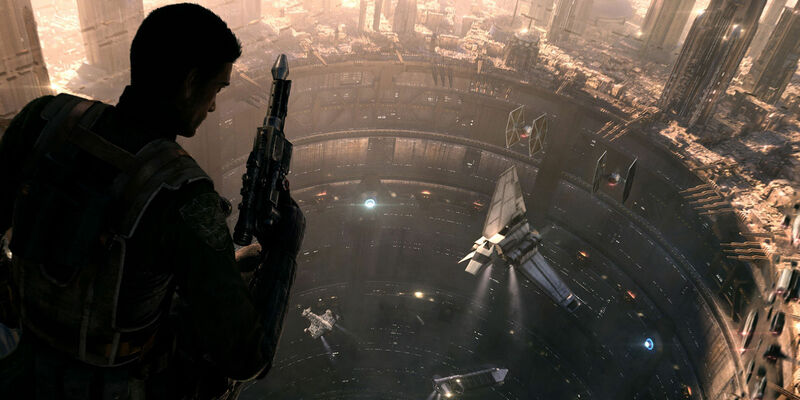 One of the biggest surprises of E3 2012 was a new Star Wars game. Sure, it wasn't The Force Unleashed III, but this new game showcased a gritty shootout in Coruscant's criminal underworld, and looked like a cross between Uncharted and Star Wars. Needless to say, we were absolutely on board for whatever new adventure this game would turn out to be. Very little is known about Star Wars: 1313, but it would have starred a teenage Boba Fett as he transitions from a lost orphan to the most feared bounty hunter in the galaxy. Additionally, the game would have been unique in that it would not feature any Jedi or use of The Force, as it was solely about criminals and other undesirables in an Empire-ruled dictatorship. After Lucasfilm was purchased by Disney, development on the game continued until LucasArts was officially closed down. Disney ultimately decided to focus their efforts on projects more closely related to the new films, and this darker spinoff story didn't quite fit in with their vision of the brand. However, Kathleen Kennedy and other Lucasfilm figures have said that the 1313 project is still viable, though it may see life in another medium, such as a graphic novel, or that it may be licensed to a developer. The game is currently down, but there's a possibility it may one day make a triumphant return. Hideo Kojima and Guillermo Del Toro collaborated on a video game which was to star Norman Reedus of The Boondock Saints and The Walking Dead. The game was a revival of one of horror's most venerated franchises, Silent Hill. Does this sound too good to be true? Apparently, it was. In August 2014, a mysterious free game appeared on the Playstation 4 store. P.T., as it was called, was a first-person exploration game filled with genuinely disturbing imagery and deeply affecting psychological horror. Not just jump scares (though those are certainly there as well! ), but subtle-yet-overwhelming creepiness and an overpowering sense of pure dread, culminating in a borderline unsolvable puzzle of which fans still aren't 100% certain how to complete. Upon solving (or stumbling through) the final puzzle, P.T. is revealed to be a Playable Teaser for Silent Hills. Naturally, the internet went completely bonkers at this unprecedented team up between a beloved film director and one of the most visionary masterminds in the videogame realm... And Norman Reedus. However, shortly after the buzz for Silent Hills reached a fever pitch, relations between Hideo Kojima and publisher Konami somehow broke down in a completely unforeseeable fashion; Kojima's name was removed from Metal Gear Solid V's box art and other promotional material, he was officially fired from Konami (he remained as an outside contractor until MGSV was completed), and Silent Hills was cancelled with extreme prejudice. Konami is, for all intents and purposes, out of the videogame business, give or take a soccer game here or there. This sad turn of events was just par for the course for Del Toro. The director had previously worked on a game called inSane, a psychological horror tale which was cancelled in 2012, shortly before the closure of publisher THQ. Between these two lost games, the disappointing box office returns of Crimson Peak, and the dubious future of Pacific Rim 2, Guillermo Del Toro just can't catch a break these days. When it comes to cancelled video games, even the bad blood of Konami's historic implosion couldn't dethrone the most tragic videogame cancellation of all time, Mega Man Legends 3. Even with Capcom's history of winning hearts and minds with such well-received moves as overpriced on-disk DLC and the whole Resident Evil 6 debacle, their most bone-headed decision ever had to be The Great Mega Man Purge of 2011. In addition to ceasing new games in the critically-acclaimed Mega Man ZX series and the aforementioned cancellation of Mega Man Universe, Mega Man Legends 3 was the final and most tragic victim of the massacre. Announced for the Nintendo 3DS in 2010, shortly before series producer Keiji Inafune left the company (thus triggering The Purge, many believe), Mega Man Legends 3 was announced alongside so-called Prototype Version, a digital retail product which would serve as a living demo and influence the final game based on fan feedback. Despite being all but fully completed, this demo version was never released due to Legends 3's cancellation. 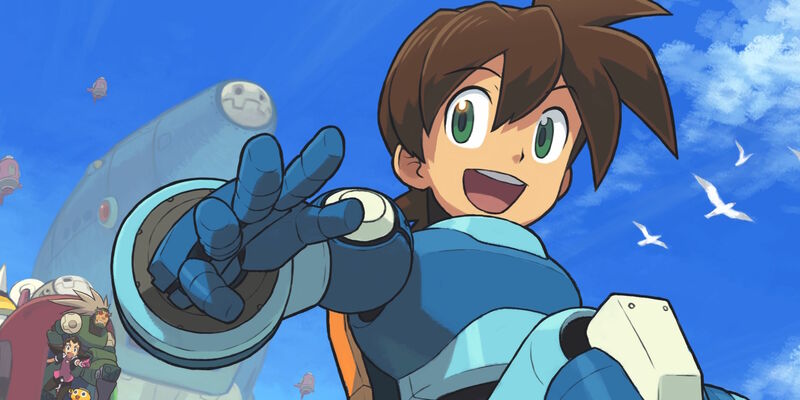 Both previous Mega Man Legends titles (as well as spin-off The Misadventures of Tron Bonne) are available for purchase on the Playstation Network Store. The chances may be slim, but we're still holding out hope that Legends 3 may one day rise from the ashes to resolve Legends 2's heartbreaking cliffhanger ending and send our hero and his friends on a new adventure. Which of these games would you give an arm and a leg to see completed? Did we skip any would-be games you were eagerly anticipating? Sound off in the comments below!